A lot of development work has been carried out on retro-fit diesel particulate filters for engines with a power output in the range of 20-560 kW. The result is that very sophisticated systems are available in modular form at surprisingly low prices. The best systems operate without any driver involvement, and although they are complex, they are also very reliable since they have been tried and tested by thousands of customers already. We distribute and support the SMF-AR filter system, which is made in Germany by HJS. With this system, cleaning (or ‘regeneration’) is taken care of in two different ways. If the exhaust gas temperature is high enough, the filter cleans itself continuously (this is known as ‘passive regeneration’) but if the exhaust gas is too cold for this process to occur, and the back pressure reaches a certain level, a back-up plan is put into action whereby the soot is burnt off by an electric heater (known as ‘active regeneration’). This system is very versatile and has advanced diagnostic capabilities, however installation and maintenance need to be done by a specialist. It consumes a small quantity of a liquid called ‘fuel-borne catalyst’ which is contained in a special tank. Because installation is rather involved, it is best to leave it in place for the life of the vehicle, and the original exhaust system is usually removed or modified to facilitate this. It is ideal for mobile applications with power outputs from 20 – 560 kW. 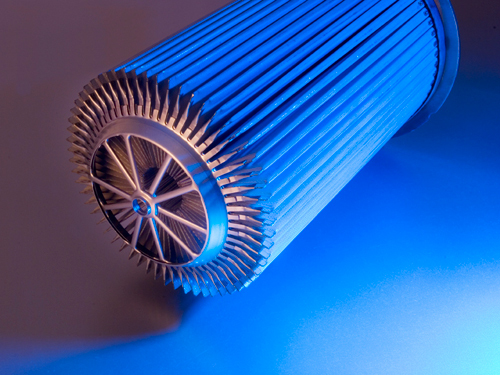 The filtration efficiency is in excess of 97% and it is approved for use in most low-emission zones.